Named in honor of the builder of this glorious mansion, the William T. Leitch room stands in the center of the home upon ascending the grand central staircase. 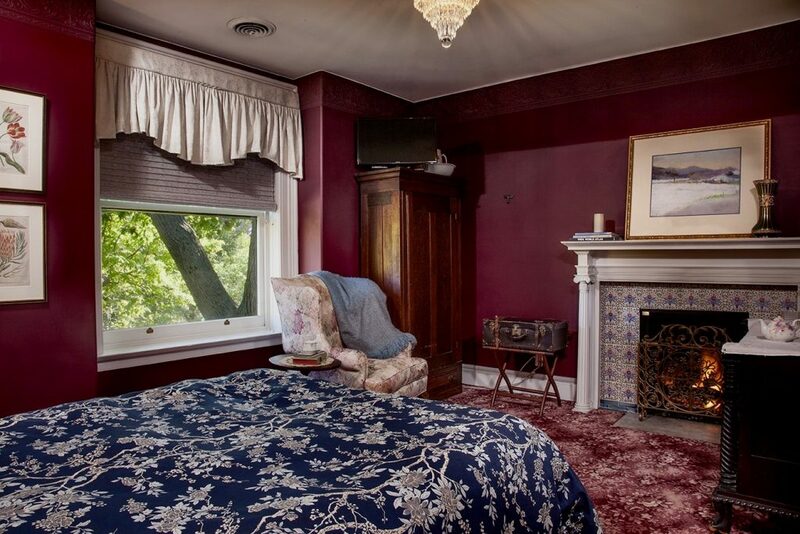 The room features rich burgundy tones, beautiful antique furniture, and a large picture window overlooking the front garden. A special bookcase filled with delightful books adds to the charm of the room. Guests will enjoy a queen-size bed, gas fireplace, and private bath with shower.